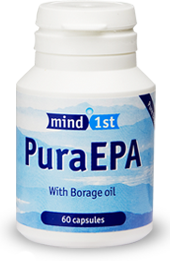 Pure EPA has two principle ingredients, these 2 ingredients are EPA (300mg) and BO (100mg). EPA is eicosapentaenoic acid, this nutrient is an essential fatty acid (EFA) that is primarily found in fish oil, and is part of the omega 3 family of essential oils. BO is borage oil; this is high in the nutrient GLA. This product is unique as it has the highest dose of pure 93% ethyl EPA, on the market today . Also combined with the added bonus of Borage oil which has the highest concentrate of GLA (24%) that you will find in any plant extract. Borage oil (starflower), extracted from the seed of the blue, star shaped borage flower, is gaining much attention by alternative health practitioners and mainstream medicine alike for its profound medicinal properties. Whereas the oil is getting all the credit, it is actually the oil’s active component, gamma linoleic acid (GLA), that has drawn the interest of researchers. Borage seed oil is now thought to be a superior source of GLA compared to evening primrose oil. We advertise the concentration-strength of the EPA capsules at 93% –all batches to date regularly reach 93% for the EPA and over 97% for total omega content per 100mg of fish oil! So for every 100mg of fish oil a 93mg is the active ingredient EPA. We also pay extra to have our oil cleaned twice. It is important for us to stress that the oil is a very high premium blend of unique oils. We currently work to international fish oil standards as set by the IFOS group. Quite simply the strongest, cleanest EPA fish oil on the world market. We do not supply an off the shelf oil, it is manufactured to our exact very high specification. The process utilizes low temperatures and does not use organic solvents. We ensure there are no metals, organic pollutants or heat during purification. We pay extra to have the oil cleaned twice. The oil surpasses International fish oil standards by a very long margin. Total omega content for our oil generally reaches over 97% per 100mg. The oil is from sustainable wild fisheries’ not from farmed fish. We do not import – buy any products from the Far East. We only use highly advanced western European pharmaceutical companies to produce the oil and capsules. We perform factory visits to ensure very high standards are maintained. Our suppliers can trace raw materials from its origin to delivery. We have been a Limited company for over 12 years. This premium product has been on the market for over 12 years. We ship the product worldwide on a daily basis to many happy repeat customers (for enquires from China, please email us). The oil is gluten and dairy free and contains no GMOs. The capsules are made from fish gelatine. Q. You haven’t spoke about the health benefits from taking the oil? This is due to the simple reason that we are not allowed to. The oil is sold as a food supplement and not as a medicine, so although the media such as magazines and newspapers can report the benefits, we unfortunately can’t. All we can do is try to educate new customers as to the differences between weak cheap oil and very strong premium oil such as ours. We suggest a starting daily dose of 4 capsules per day; this will give you 1.2 grams of Ultra Pure EPA. These can be taken all together with food or split 2 in the morning and 2 with your midday meal. It is fine to take a larger dose if required but we would suggest no more than ten capsules per day unless requested by a qualified Doctor or practitioner. The oil is fine for Children to take. Under 13 years of age 2 capsules per day unless a higher dose is requested by a qualified Doctor or practitioner. Over 13 years old 3 – 4 capsules per day. The simple answer is yes. 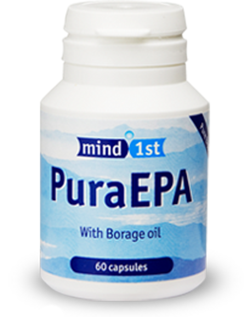 Pure EPA is an omega 3 Epa fish oil supplement that is very high in EPA fish oil (93%). The fish oil comes from deep sea cold water fish such as horse mackerel, herring , salmon and anchovies. They come from natural fishing grounds off the coast of South America. It is theoretically possible to derive EPA solely from fish, however in order to obtain the high concentration and daily dose required you would have to consume a very large amount daily, with which would bring negative side effects due to all the pollutants, this is why it is important to choose a very high quality, safe, natural fish oil such as Pure EPA. Natures very own antioxidant, Pure EPA contains a dose of vitamin E that helps to protect the freshness of the oil and keep it in an active state within its capsule and the body. 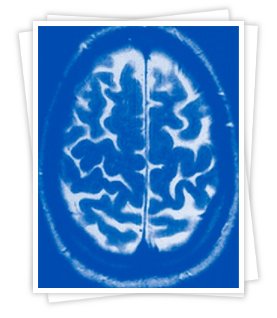 A. Mind1st is a small family run company that has been selling the purest grade of EPA fish oil for 12 years, we currently send out a very large quantity per week to people all over the world. We can also boast an 82% repeat rate with our customers we can tell this from our database. Q. Can I buy your Pure EPA in any shops? A. 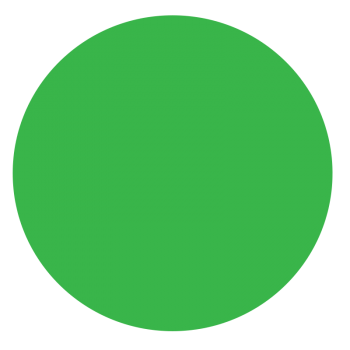 No, we are the exclusive distributor of Pure EPA in the UK we are a direct mail order – internet company. Q. Can I order over the Internet or Phone? A. You can order both ways, we prefer you to place your order via the internet as it is very secure and we are an internet based company so our systems are fully automated, but if you wish you can always call and speak with someone to place your order or to ask any questions you may have. In the event that you reach our answer machine please leave a message and we will call you right back, or you can send an email inquiry via the contact link at the top of the page, this will take you directly to our sales manager who should respond lighting quick with a reply. A. All orders are sent the same working day if placed before 1pm Monday to Friday. So go ahead and make a purchase or select from one of the other options below. Simply place your email address in the box below and we will send it to you.